Featured! Miss Bell UK Home | About Us | Opportunities | Sponsorships | Contact Us! This week we’re talking with Claire from Miss Bell UK. 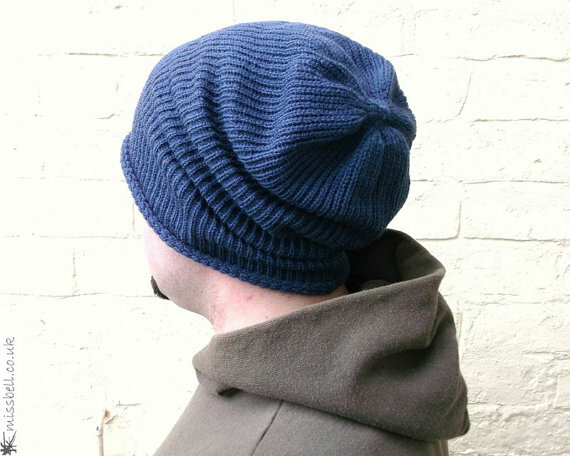 Claire creates a wide range of amazing handmade beanies, tams, caps, and cowls for men – and some great gifts for women as well! 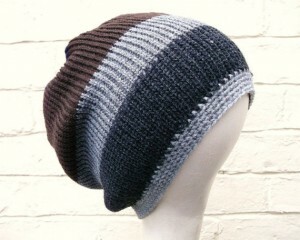 Claire hails from the United Kingdom and ships her popular hat designs and custom orders to fans all across the world. We’re excited to have her work featured here on Handmade Men… enjoy! Welcome Claire, and thanks for taking time to chat with us! I’m a 20-something knitwear designer, based in a small village on the outskirts of Nottingham, UK. My life revolves around my business, my husband, and our two cocker spaniels. I enjoy designing and creating – I’ve always got something on the go. When I’m not working, you’ll find me at a local ska gig, sipping a pint with my friends, or off on a country walk with my boys. I make hats, all shapes and sizes. 50% of them are suitable for those with dreadlocks, but over the past year I’ve developed my range of hats and I now cater to those without dreadlocks. I grab inspiration from everywhere, especially my friends and family. This has resulted in my more recent designs, ladies head bands and more importantly, menswear. I am well known by my customers for my ‘made to order’ designs. I offer a range of designs and patterns which can be created in a variety of colours. Throughout school, college, and university I’ve studied art and textiles. To aid my college course I needed to learn new skills, so I went out and bought a crochet hook and collared my mum for an evening so she could teach me. Nearly ten years later, I find myself crocheting half of my designs. I combine this with hand knitting which my mum taught me from a very young age, and my newly developed skills from university in which I use a flat bed, hand-operated knitting machine. I use all three of these processes to keep variation between my designs, it also keeps my interest. If I’ve had enough of knitting for a few days, I’ll pick up the crochet hook for the rest of the week. From the moment an order graces my inbox, I take care of my customer and assist them as much as I can to make their buying experience a pleasure. I source all of my yarn directly from the manufacturer. As soon as it arrives I play around with different designs and shapes, this is then reflected in my shop, whether it is a custom item or a readymade piece. I photograph all my work, and look forward to my shipping days where I hand tag, wrap, and package all my orders from the comfort of my office. 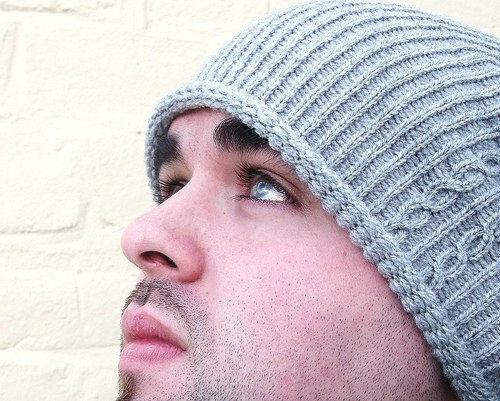 You do a lot of work for men, and your handmade men’s hats are absolutely brilliant. What inspires you to create for guys, and why do you think they should step up and embrace handmade work more readily? All of my menswear is tailor made for my husband, and those of a similar nature. I draw all of my inspiration from him. He wanted practical items that weren’t too fussy in appearance. Muted ‘manly’ colours were also top of the list. 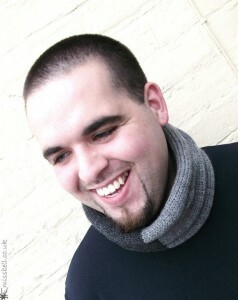 I feel I have accomplished a HUGE task as this is a man who refused to wear any form of scarf. He now wears his knitted cowl with pride as we walk down a windy beach, footsteps from a holiday cottage in the countryside. A quality man deserves a quality piece of hand crafted work. 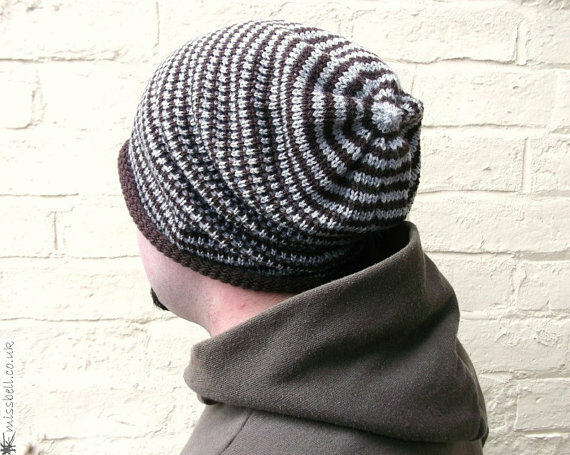 I see return customers all the time, not because their hat has ‘worn out’ or fallen to pieces, but because they want another hat in a different design or colour way, which is fantastic! Another reason why anyone should buy handmade is they are more than likely going to be dealing directly with the designer. I often have men, and women, who can’t decide on which colour and style would suit them best. I’m always at the end of my laptop to answer queries and concerns to put the customers mind at rest. It’s also a comfort to know who actually made what you wear. Why do you think more people should support artisans, local businesses, and handmade products? I can understand from a customer’s point of view, it can be a gamble buying from a small independent business. Over here in the UK, people still associate knitting with old ladies sporting curlers in their hair, knitting toilet roll cozies with frills and patterns on. I hope I’ve proved them wrong. I’d like to see unique businesses go from strength to strength, they need the support from the ‘average Joe’. In my line of work I often remind people to stop and think when they’re out on the high street or in the mall… instead of buying a factory manufactured item from a chain of stores, you could be buying from an independent and sometimes local business. Claire, thank you so much for taking time away from your work to chat with us. We’re huge fans of what you’re doing and look forward to seeing what’s to come from your shop. As a side note, we want to mention that even though Claire’s shop is in the UK, she ships worldwide and things arrive very quickly. 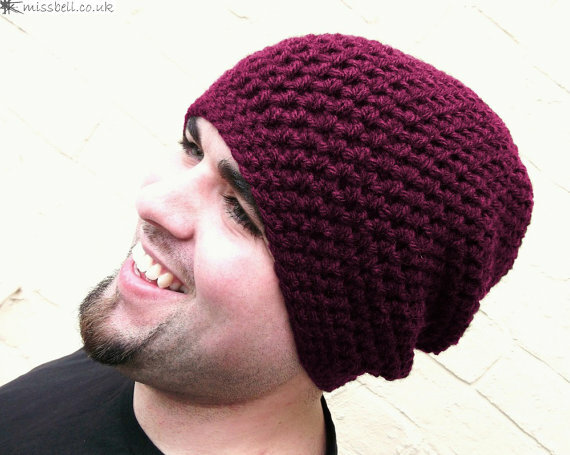 Having a beanie made by hand in the UK countryside is just about the best bragging rights you could have this winter! Use code “HMEN12″ at checkout and get 10% Off your purchase until September 30, 2012! Tagged Cowls, etsy, featured!, Handmade Beanies, Handmade Hats, handmade men, interview, Miss Bell UK, Scarves, Slouchy Hats. Bookmark the permalink. I’ve seen your store on Etsy and love your products. Congratz on the feature and best of luck! Great interview and must agree with Simmi its good to see all the hard work you put into your craft is paying off. Good luck ! Lovely interview Claire – nice to see all your hard work paying off and bring appreciated around the world!